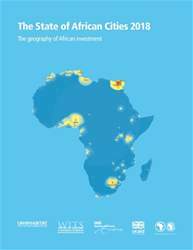 The current report follows three earlier State of African Cities reports produced by UN-Habitat in 2008, 2010 and 2014. The 2008 report was a benchmarking exercise reviewing urban and housing conditions in Africa. It told of unprecedented forthcoming urban growth which, at the time of publication, was criticized as ‘alarmist’, but has since proven quite accurate. Given the prevailing conditions in Northern Africa, the 2008 report also warned of political unrest before the Arab Spring unfolded about three years later. The report showed that, in many respects, Africa was not ready for rapidly advancing urban growth, notably in terms of its institutional arrangements and funding priorities, because the continent then still had a sizable rural population majority. The 2010 report delved deeper into the challenges of urban management shortfalls, poverty and mushrooming urban informal settlements (slums). Problematic access to urban land was identified and analyzed as one of the many aspects of deep poverty and socio-economic inequality in Africa.